It may still be cold in the Northern Hemisphere, but there are some places where the summer is never-ending. February is the perfect time to go on a surf camp to score some waves and dip your toes in the sand on a far-away palm-fringed beach. Anytime is a good time to surf in Costa Rica! The waves are top-notch all year round on the North and Central Pacific coasts. During winter months, the water is warm and the weather is dry and pleasant. The surf is not as powerful as in summer (between June and September), which makes this time just perfect for beginners. From a touristic point of view, February is one of the most popular months to visit Costa Rica. 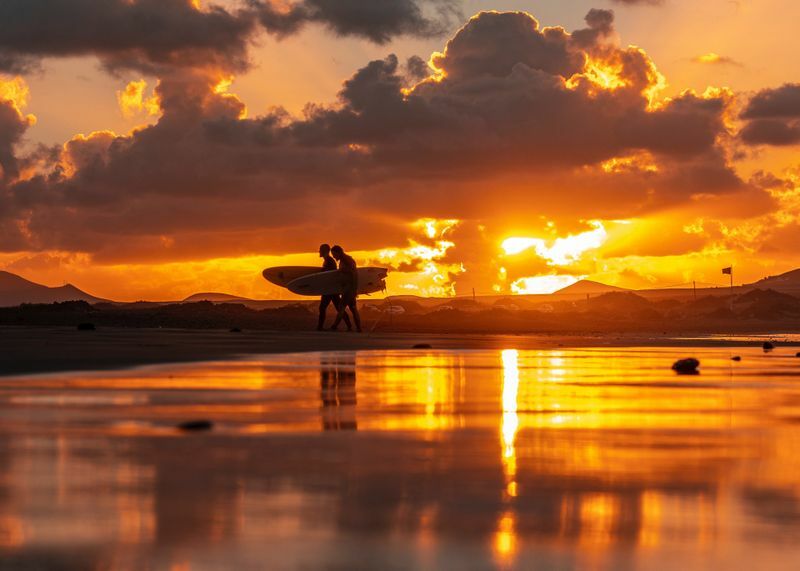 But, what are the best places to surf in Costa Rica in February? 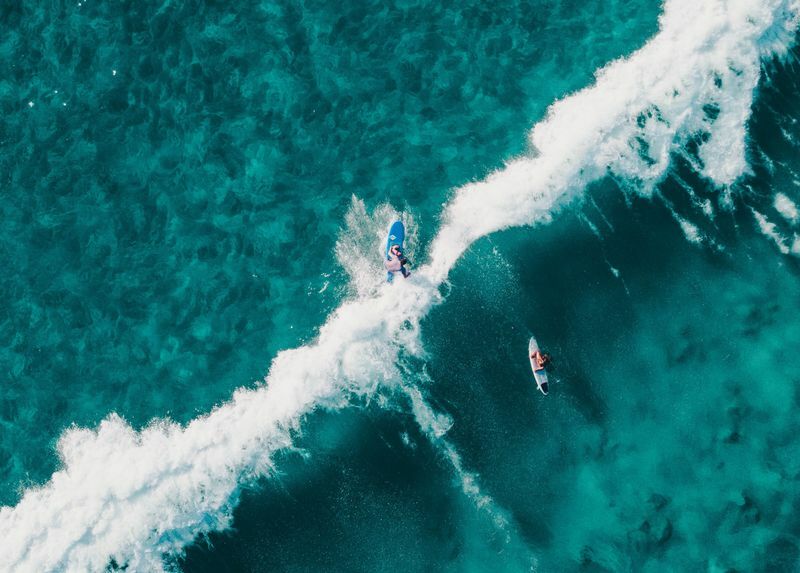 This is a great month to check out the surf on the North, Central, and South Pacific coasts, as well as the Caribbean coast. Feel the sand between your toes and the salt in your hair with these budget surf camps in Costa Rica! When it comes to places to surf, Costa Rica offers countless possibilities. However, the northern Pacific coast – the Guanacaste and Nicoya Peninsula regions – is more consistent and easier to get around. These are home to world-renowned beach towns like Tamarindo and Nosara, and surf beaches like Playa Grande, Playa Avellanas, and Santa Teresa. 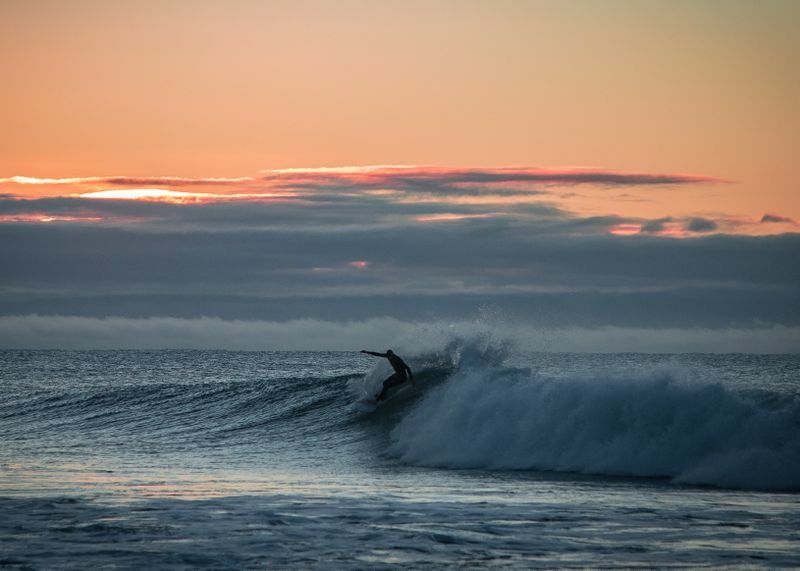 On the Central Coast, Boca Barranca and Jaco are the main attractions among surfers. The surf breaks on the South Coast are more accessible during this time of year. The Caribbean coast, famous for its powerful Salsa Brava and Cahuita reef breaks, only works between December and March. Check out our complete guide to surfing in Costa Rica here. Although the water temperature reaches a minimum in February, it is still warm enough to surf in a swimsuit or rash vest – 25 to 29°C (77 to 84°F). The air temperature reaches highs around 30-35 °C (86-94 °F). 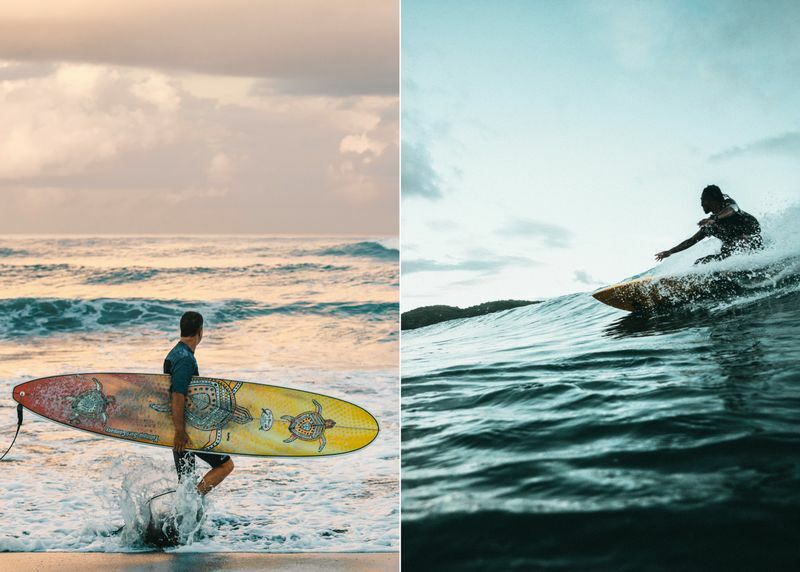 Sri Lanka, the island of serendipity (before Ceylon, Sri Lanka was called Serendib, a name of Arabic origins, which gave birth to the English word “serendipity’), is one of the best places on the planet to learn to surf and sharpen your wave riding skills. Where to go surfing in Sri Lanka in February? The surf on the southwest coast of Sri Lanka comes to life between November and April. This is the dry season, with pleasant temperatures and almost zero rainfall. During this time of the year, the east coast is still affected by the northeast monsoon. The south and southwest coasts are basking in sunshine and receive morning offshore winds, which produce clean waves. The southern tip of Sri Lanka is a swell magnet, and the surf spots here rarely go flat. Planning a trip to Sri Lanka in winter? Check out these surf camps in the Southern Province! February is peak season for surfing in southern Sri Lanka. But don’t fret. 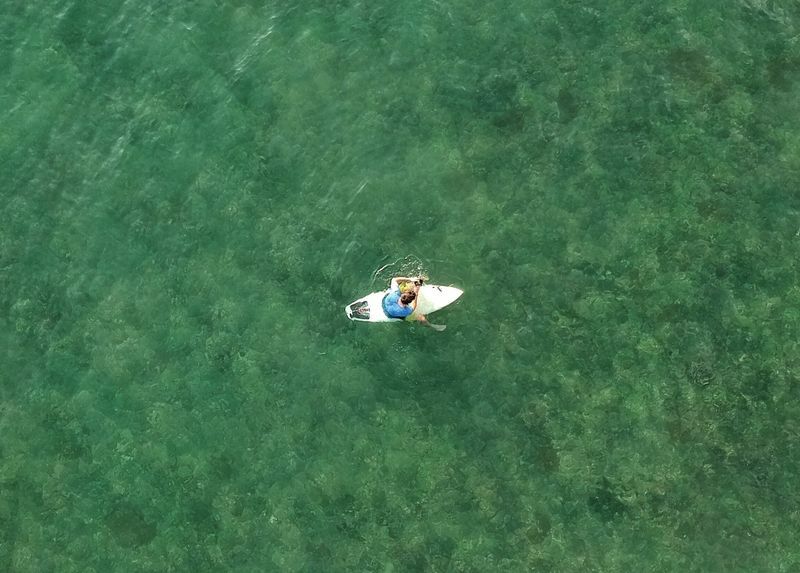 You can still find less crowded waves. Hikkaduwa, Weligama, and Unawatuna tend to attract bigger crowds, while Mirissa is usually not as busy. Check out our complete guide to surfing in Sri Lanka here. 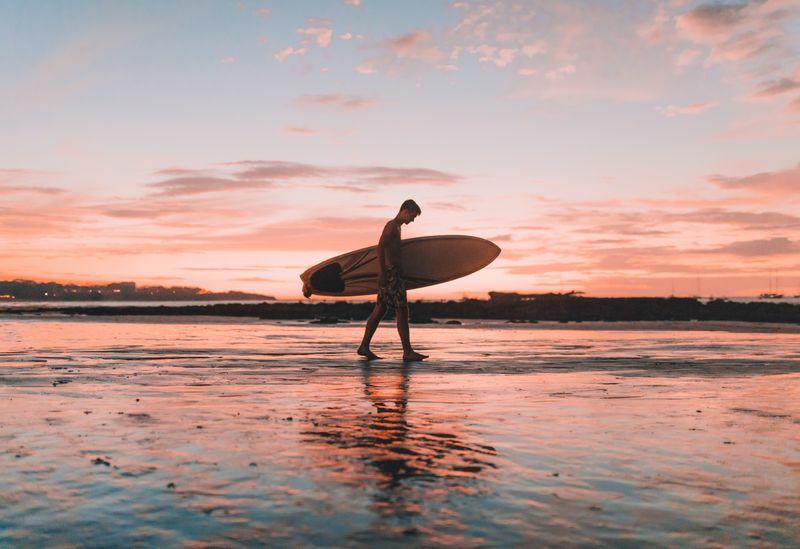 With water temperatures hovering around 27-29°C and an average air temperature of 30°C, you can surf in Sri Lanka in boardshorts and a rash vest throughout the year. In February, the wave size starts to pick up, reaching shoulder to head-high, which makes this a good time for surfers of all levels to catch a wave. Thanks to their location, the Canary Islands offer epic conditions for all water sports throughout the year. 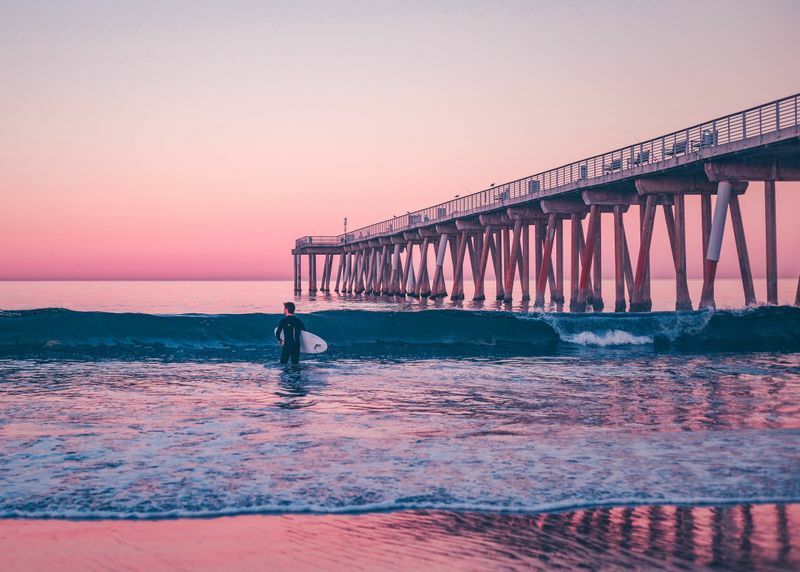 Their high-quality surf breaks and year-round warm, sunny weather makes them a top choice among European surfers, and not only. So, where should you surf in the Canary Islands in February? Well, wherever you please! The main surf season on all the islands is between September and April, with high-quality waves between November and February. The consistent swell and sunny, warm weather does attract some crowds, but there’s plenty of room for everyone. Thinking about escaping the cold but you’re not really keen on traveling long distances? Look no further than these surf camps in the Canary Islands! 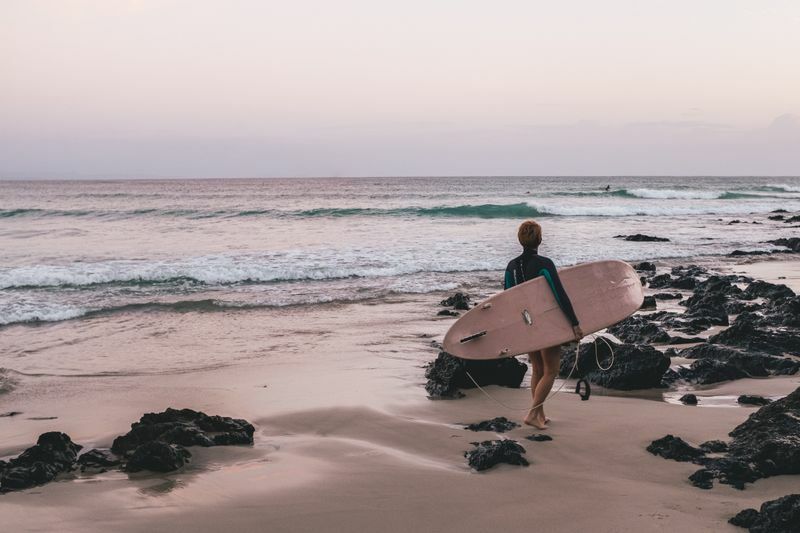 Thanks to its year-round warm weather, Lanzarote is often referred to as ‘Europe’s Hawaii’ and is considered the best surfing destination in the Canary Islands. 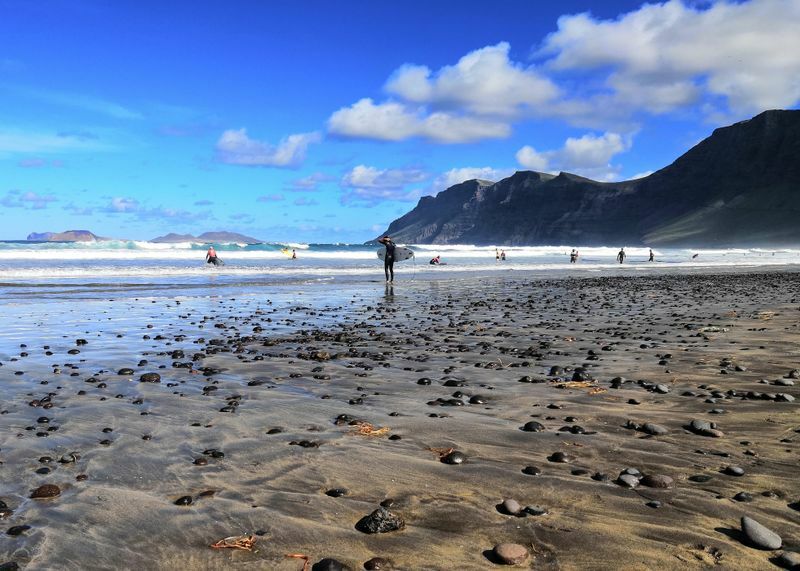 Playa de Famara, on the north coast, is undoubtedly the best surf spot in Lanzarote and a great place to learn to surf. This six-kilometer (3.7-mile) long beach is the longest on the island, and there are several take-off points to choose from. There’s room for everyone, all levels. Famara is a surf magnet and it works with all tides. 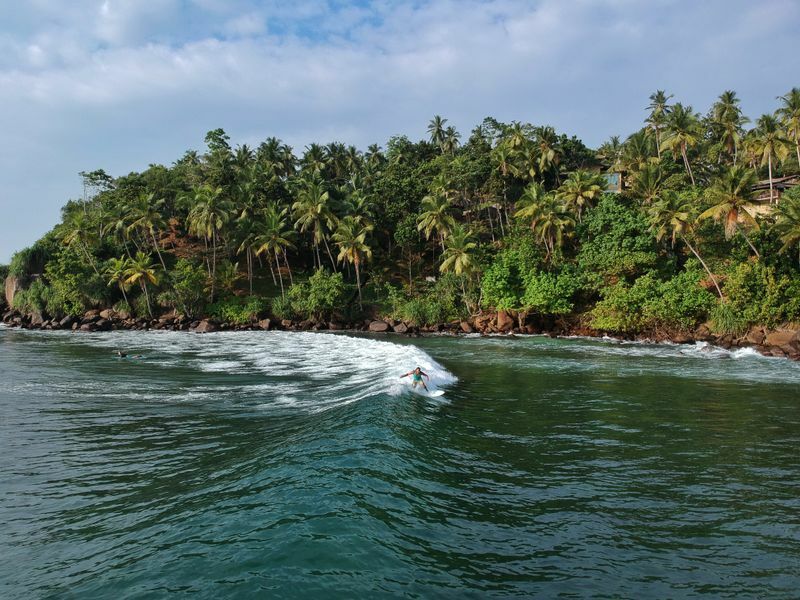 You’ll find quality surf on each and every island in the archipelago. Fuerteventura and its Flag Beach, one of the best beginner surf spots on the island, Tenerife and its challenging Spanish Left and Billboards breaks, as well as many others, are all worth a visit. Check out our complete guide to surfing in the Canary Islands here. The water is slightly colder in February, when it reaches the annual minimum – 17 to 19°C (63 to 66°F). Therefore, you’ll need a 2/3mm or a 4/3mm neoprene wetsuit. Booties are recommended because most surf breaks have sharp reefs or rocks on the seabed. Don’t worry if you’ve overspent during the holidays. You don’t have to dig deep in your pocket to go on these budget surf camps!